Cheap to buy in Bulk Order Quantity!!! 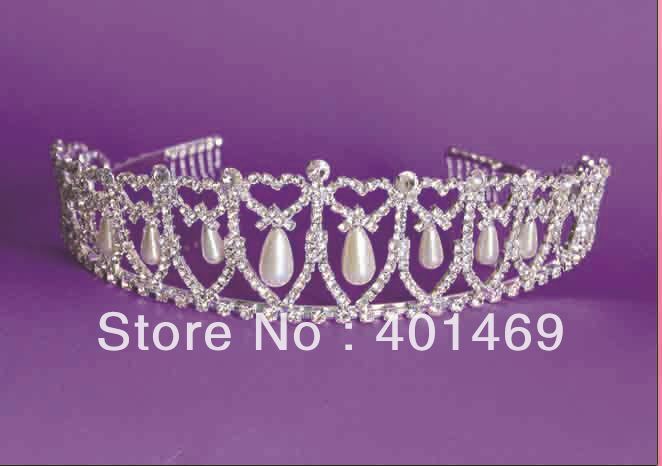 Hot Diana royal bridal wedding silver rhinestone pearls hair crown tiara headwear ornament fashion jewelry accessories free ship***You Can Remark your Detailed requirements Such as Colors, Packages, Your preferred Express Company, Value of Declaration etc at Ali-Express Message when you place the order. And we provide 100% Quality Guarantee with that team. Our production will be Standard up to the US CPSIA Requirements and will cater to your Market. ESCROW is the best way we recgmend. f, Please make sure your Address should be Correct, And any Non-received items caused by invalid Address are not in our full refund or Replacement policy. a, Drop Shipping is available for us, that means you will not stock the products, all you need to do is just to Upload our Items to your online stores and help to Promote our Products on your store, Communicate and serve your customer, receive your order and then place order with us. b, We will act as your backend fulfillment center, meantime you have No need to pay anything for our service. c, Those Packages won\'t have our Company LOGO INFO. Each piece/pair per Custome Card with hangtag(if has) per Polybag, 2Pcs/12Pcs/60Pcs or 120Pcs per reshippable Box or Larger bag, then as many Boxes/Larger bags into Mini Export CTN. ***We can make your Branded Card / Price Sticker but which will be extra charged. We are very much Appreciated for your continue Support and Cooperations on this.